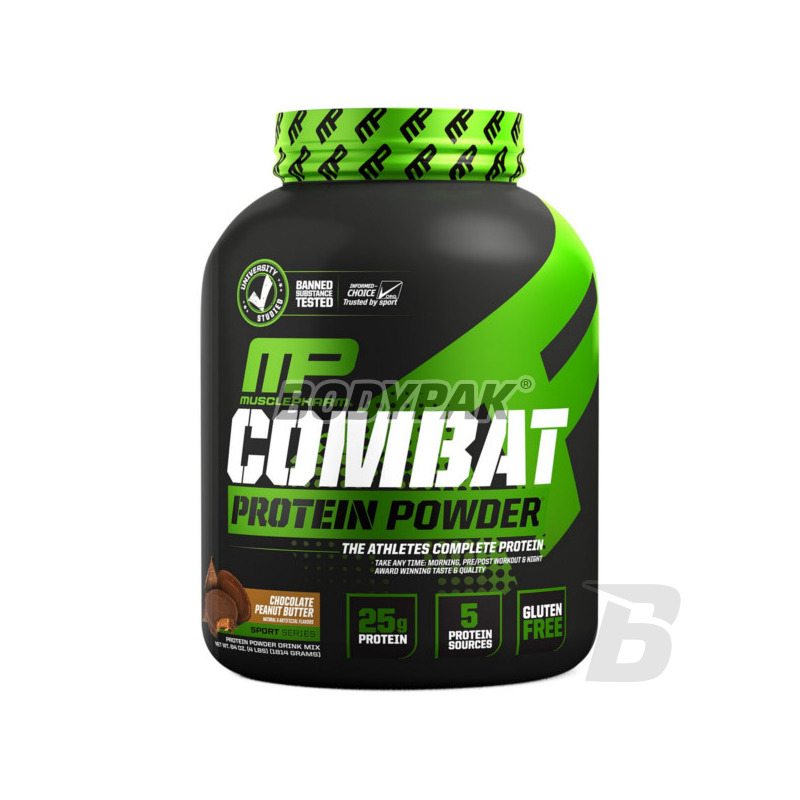 MusclePharm Combat is manufactured using advanced technology - the result of which was established excellent protein supplement that is able to meet all expectations! It contains high doses of BCAA which has a positive effect on the rate of regeneration of the body, even after a very hard training. The product is based on 5 nutritious sources of animal protein are characterized by different absorption kinetics. Thanks conditioner is extremely versatile and can be used both during the day and before bedtime - contains slow and fast absorbable protein. MusclePharm Combat provides a constant and long-lasting supply of amino acids to your muscles, so you do not have to worry about an adequate supply of the highest quality lumber. The product is characterized by high quality and excellent aminogramem! You will not have to worry about the taste that has been refined - as solubility! 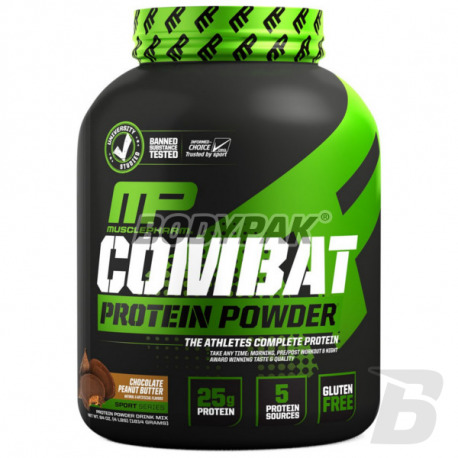 MusclePharm COMBAT - PERSISTS TO 8 HOURS BODY! One aliquot was taken 2-3 times per day for optimum muscle growth. Other ingredients: inulin, natural and artificial flavors, sodium chloride, acesulfame potassium, sucralose, potassium citrate lecithin .